Why are Harleys so expensive? What goes into the manufacturer of the bike that makes it so pricey? Is it worth it paying extra to get your hands on a Harley Davidson? These are all questions that you must have asked yourself at one point or another. 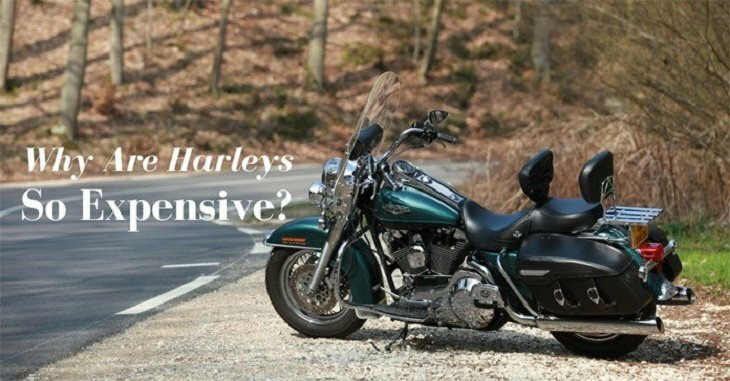 To get answers to this questions and understand “why are Harleys so expensive”, you need to consider some factors both from the side of the company and from the market that the brand targets. Why Are Harleys So Expensive? One of the reasons why are Harleys so expensive revolves around the branding of the product. Over and above everything else, Harley-Davidson has gone overboard in its creation of an iconic concept. To this end, when you get a Harley, you aren’t just buying a bike – you are turning into a particular kind of biker. Therefore, the offer the company makes in selling you a motorbike comes with one promise: that you’ll join the membership of the larger HD family. That said, not every Harley Davidson is particularly expensive. For around 9,000 Euros (in Germany), you should be able to get your hands on an 883 Sportster. 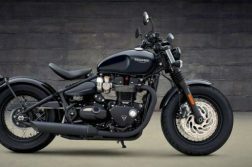 This is just about the same price as what you’d have to part with to get a Triumph Street Twin or a Moto Guzzi V9. Of course, you can always get a more practical bike for much less than the price of a typical Harley. However, you’d be getting into the difference between, say, a Wal-Mart handbag and one from Prada. To this end, most people who buy Harleys agree that the branding is so on top that everything on the bike is excellent. However, an even greater majority would pay more to be able to say that they ride an HD. As such, Harley Davidsons tend to be less price sensitive in comparison to other makes. It also means that since they are made in the US, it follows that the price is a bit higher. However, this is just part and parcel of the overall brand identity that the company has forged for itself in the market. Still, need convincing as to why are Harleys so expensive? Well, you need to understand the HD brand is known for building robust and dependable motorcycles. 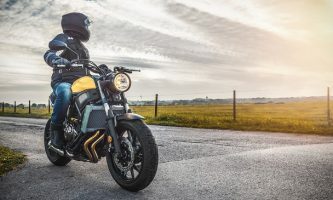 Although you might not know whether it is superior to Victory, BMW, or Triumph machines, the buyers still go for Harleys because they trust the quality of the bikes it rolls out. The pricing for new HD bikes is also in line with most of the other bikes of a similar quality and style. For instance, if you check the price for the 1200R model, you’ll realize that it is priced lower than most of the other competing brands in their 2008 models. That said, Harley riders and buyers are diehard fans of the quality that the brand has come to be known for. 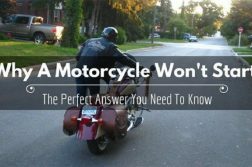 Other riders will simply hop from one make to another during the span of their riding careers – not so for Harley fans. One thing is for sure – Harley has some exacting standards where the quality of its motorcycles is called into question. 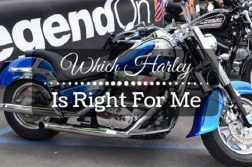 Although the other brands might have the same standards, Harley has never come into question. Of course, the owner loyalty in the market also has a bearing on why are Harleys so expensive. In fact, the company is known to retain high resale values meaning that some owners continue sticking with the brand for this exact reason. To get further answers to your “why are Harleys so expensive?” question, you must ask yourself why Rolex watches are pricey. The answer you get will be the same for both questions. Essentially, Harley Davidson has positioned itself in a certain way within the market. As such, the company believes that they should charge certain prices if only to continue maintaining its image. 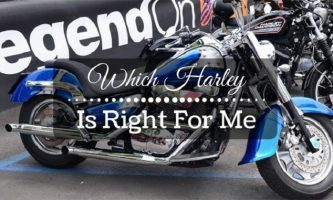 Without even looking into the issues of reliability and performance, you can understand that Harley Davidson knows its target market pretty well. As such, they have been successful in the business because they have managed to position themselves in the right place at the right price to capture the ideal client. 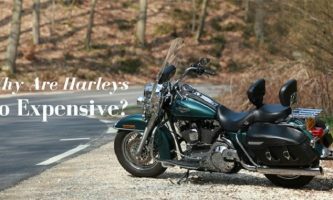 Another answer to the why are Harleys so expensive question revolves around the price strategy the company has adopted. Mainly, they understand that there are people who’d pay the given asking price to get their hands on a Harley. In fact, at some point in time, potential buyers sign up to join a waiting list trying to buy a Harley. While running any business, once you understand that people are willing to spend a bit more for your product than the competitor’s, you’d also end up pricing the merchandise higher. That said, most of the target buyers are those who are looking to get what they perceive as proper American Iron. The pricing strategy adopted by Harley has enabled them to get such customers to churn out money for a bike from the brand. With a Harley, you also get to pay a bit extra to be able to enjoy the intangibles that come with owning such a bike. Although you might not be sure if it is a better machine, you know for sure that you’ll be getting the Harley name. 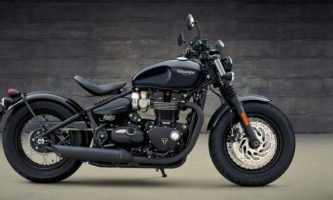 This means that once you roll around in your bike, you will create an instant image and bragging rights that other riders might not have – unless they also own a Harley of course. The image that Harley-Davidson has created is so strong that most riders who drool over the product have always wanted to own one all their lives. Others simply want to earn the respect that comes with having such a bike. Another segment wouldn’t buy another motorcycle because they have been riding Harleys for so long. 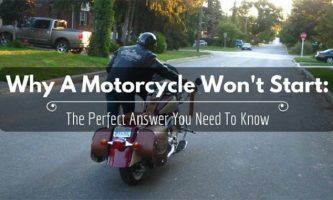 Hopefully, the above sections should answer your “why are Harleys so expensive?” question. From the quality all the way down to the branding and imaging the company has created for itself, it is not too difficult to see why these bikes are so pricey.